Horatio Jones' house was built in the early 1920s by Horatio Jones, an incapacitated First World War veteran, using bush timber and flattened kerosene tins. It is a substantially intact and rare example of shanty construction of the early twentieth century. It is also an unusually grand use of this humble and improvised building technique. Horatio Jones' house demonstrates the hardships experienced by many people in the inter-war period in Australia and the ways in which they adapted to their situation. 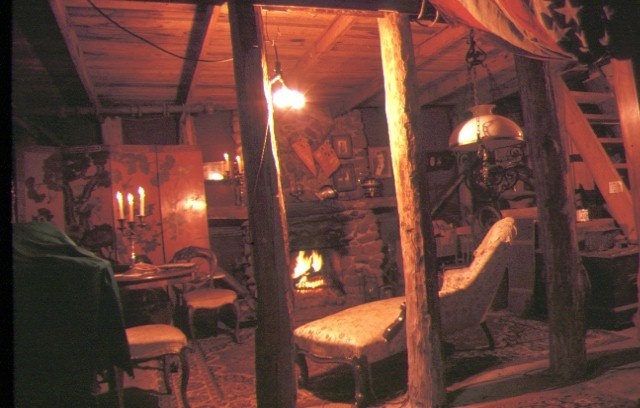 Horatio Jones' house provides evidence of the extraordinary lifestyle of Horatio Jones' and his two sisters who transposed their civilised way of life onto a primitive environment. Horatio Jones' House, Hazel Grove, Tecoma, Shire of Sherbrooke. 1. All of the building known as Horatio Jones' house, Tecoma. 2. 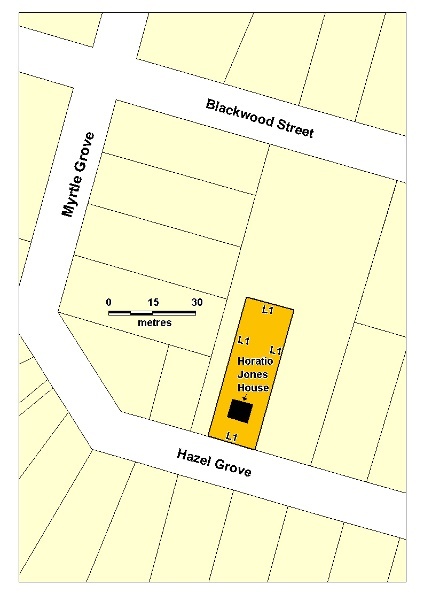 All of the land surrounding the above building to a distance estimated to be 35.05 metres from the front of the building to the north; 7.62 metres from the rear of the building to Hazel Grove to the south; and a distance estimated to be 16.76 metres in total from east to west of building; being part of the land contained in Certificate of Title Volume 9046 Folio 867 and shown on Plan 6053889 endorsed by the Chairperson, Historic Buildings Council and held by the Director, Historic Buildings Council.